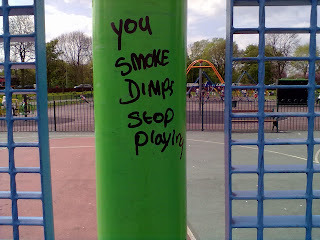 the mithering times: Up Against The Wall XXVI - Your Mum Smok's Dimps / You Smoke Dimps Stop Playing. 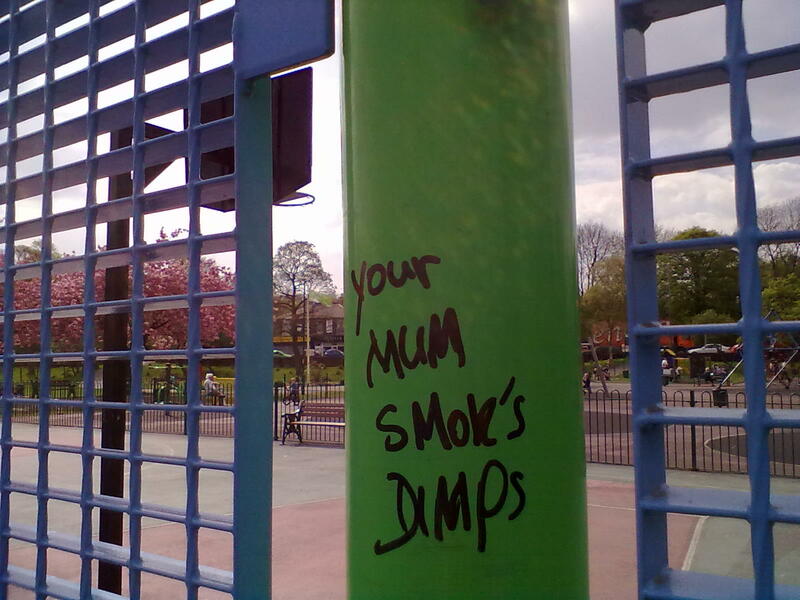 Up Against The Wall XXVI - Your Mum Smok's Dimps / You Smoke Dimps Stop Playing. From just inside the football/basketball cage in St Mary's Park, Prestwich where I was idling the hot days of April away with The Kids. Dimps, what a beautifully northern word. 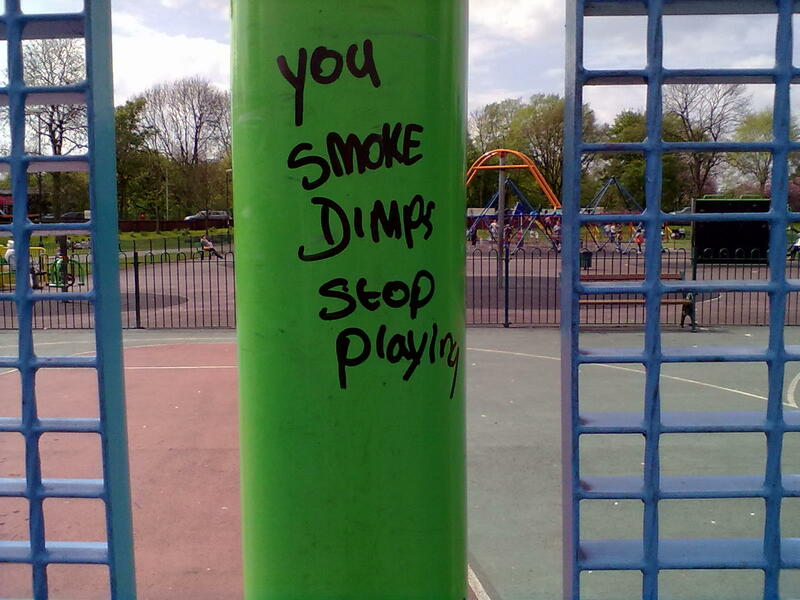 And for the record, my mum did smoke dimps. 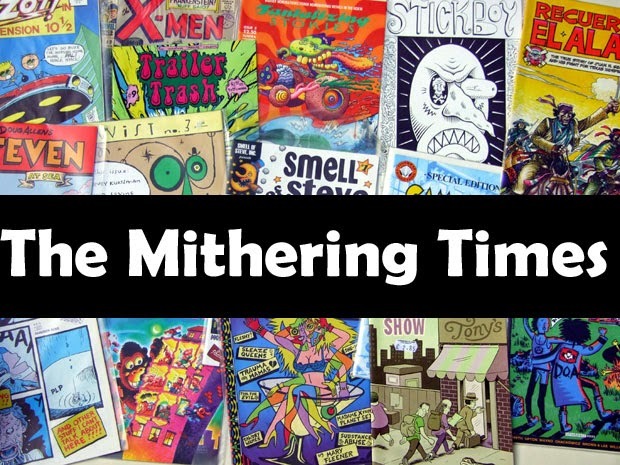 Usually on a Thursday when all funds had been exhausted and with Friday's pay day in sight. As it's Prestwich I'm making the logical leap that it was Mark E. Smith who had popped into the park with a sharpie in order to test out some new Fall lyrics.